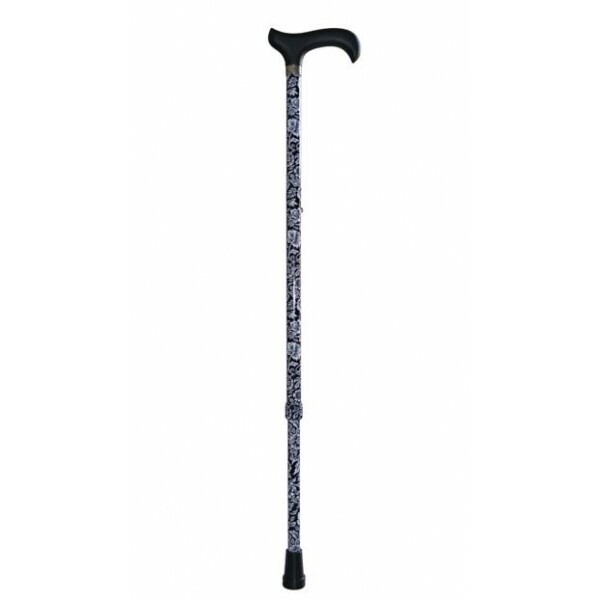 Aluminium walking stick, extensible and ajustable from 62 to 94 cm. 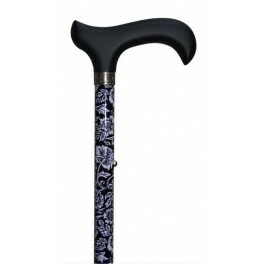 Black and white design. With rubber end.